Aavin Pudukkottai Recruitment 2018 has released application forum for various openings such as Manager (Marketing) Posts. 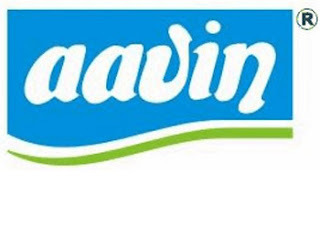 You can get official website www.aavinmilk.com. Want to apply for it? Here you will get all details such as process of examinations and interview, eligibility criteria, Offline registration processes, payment of prescribed application fee/intimation charges, Aavin Pudukkottai pattern of examination, Aavin Pudukkottai Syllabus, Aavin Pudukkottai Question Paper, Aavin Pudukkottai Admit Date Release Date, Aavin Pudukkottai Exam Date, Aavin Pudukkottai Result Date . Check below all details. Graduation details are: Must possess any degree and MBA from recognized University / Institution or any degree and Two Year Post Graduate Diploma from a recognized University/ Institution. Age limit range: Candidate’s Age Limit Should be between (For SC/SCA/ST/MBC/DNC/BC - No Age Limit), (For OC - 30 Years) Relaxation up to 10 years for differently abled candidates for all categories. The candidates belonging to the OC/BC/MBC & DNC will be required to pay an application and processing fee of Rs.250/- (Non-refundable). The candidates belonging to the SC/SC(A)/ST will be required to pay an application and processing fee of Rs.100/- (Non-refundable). Payment of fee should be made by way of demand draft only, drawn in favour “General Manager, Pudukkottai Co-operative Milk Producers’ Union Ltd., “ payable at Pudukkottai .Demand draft can be drawn in any one of the Nationalised Banks / Cooperative Banks and examination fees for each post should be remitted separately along with application. Any other modes of payment like cheque, postal order and cash will not be accepted.